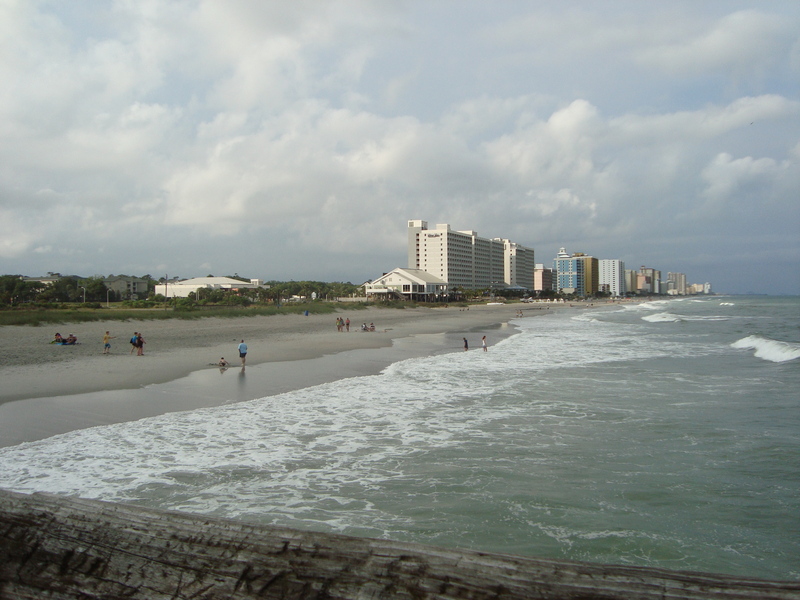 Last year I decided I needed to find myself, so I took a little trip down to Myrtle Beach, South Carolina alone. Yes, alone. I know you’re jealous. One day, while I was sitting on a pier overlooking the gorgeous beach and reading a David Sedaris book, a man who was probably my dad’s age told me two jokes, recited one Bible verse (which I at first thought was a third joke), and then asked me how I felt about older men. I nervously giggled, mumbled the word “boyfriend” and ran to the nearest safe place: a gourmet chocolate shop. View from the pier. Apparently quite the happenin' pick up spot for older gents. Said chocolate shop contained an assortment of goodies. I probably bought half the store in my delirium. No, this is not true. Clive Owen could have asked me out and I would have bought out that shop…and served the goodies at my and Clive’s wedding reception. 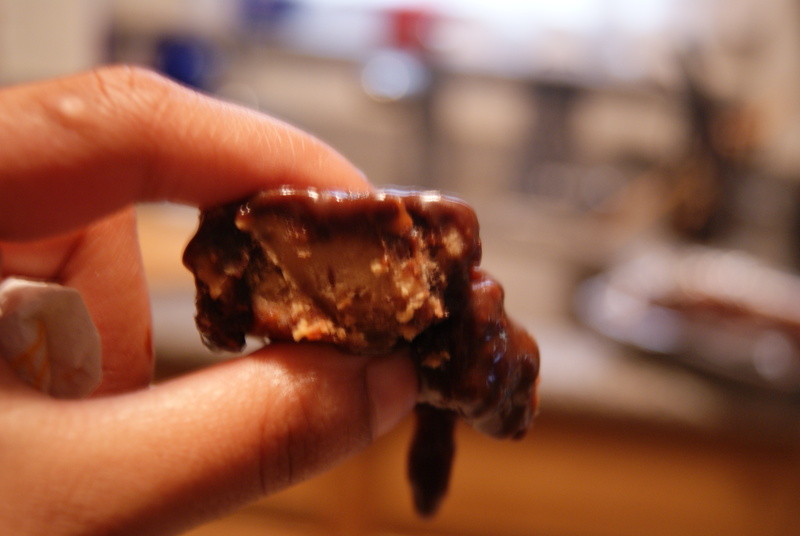 The most memorable item I purchased was a half-pound of chocolate peanut butter swirl fudge that never quite made it onto the plane back to Killa Queens (Because I devoured it, not because airport security confiscated it. The Man can’t bring me down.) I’m sure I won’t be able to replicate it, but I’ve got a jar of vanilla-cranberry peanut butter that needs using. 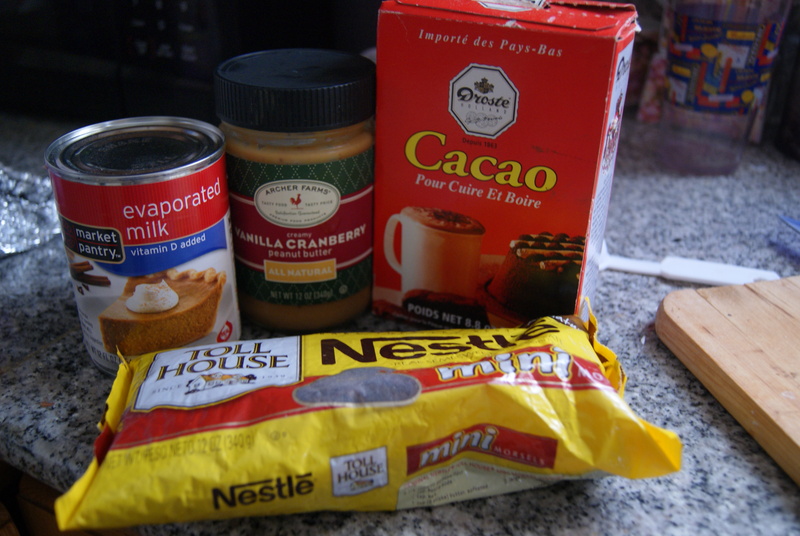 It’s a little too vanilla-y or berry-y or something-y for my taste, but I imagine the sweetness will work well in a fudge recipe, especially if I reduce the amount of added sugar. I also need to get rid of this jar of useless nothing because I really, really don’t like the taste and it’s taking up precious pantry real estate. Anyway, I decided to try to find a recipe to guide me on my journey, but nothing really struck my fancy-pantsy. Corn syrup kinda bugs me and sweetened condensed milk would be too sweet for this jar of fragrant-candle-scented PB I’m using. (I know I am hating hard on this jar. But it’s not good. Please don’t try it. It will not enhance your peanut butter and jelly sammies. No matter what shapes you cut them into.) So, I decided to do things my own way. As you will see, this consisted of me shoving a bunch of ingredients into a heatproof bowl, licking a lot of wooden spoons, and crossing my fingers. I highly recommend this process. Let’s get cookin’! Doesn't that jar of "PB" just look menacing and evil? Yeah, that title has a story behind it, which you’ll read if you stick around long enough. Oh, also, this recipe would also work well if you subbed in any of that not all-natural peanut butter… the Jiff, Skippy, Reese’s, whatevs. Because there is a ton of added sugar in all of those jars, it’d be better to keep the rest of the sweetness to a minimum, or you will have chatty children or zombified adults on your hands for a good three hours. No one wants this. On to to the fudge. 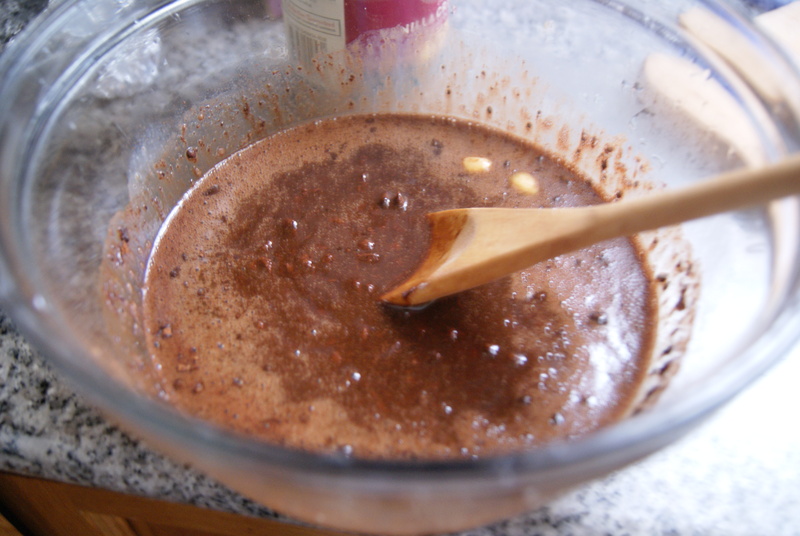 Combine butter, milk, chocolate, cocoa and brown sugar in a saucepan over medium heat. For a few minutes, it will look like refried beans and you will crave tacos. Seriously. There’s no way this has only happened to me. Stir occasionally until the mixture comes to a boil. Remove from heat, then pour the mixture into an 8×8 inch square pan (You can line the pan in foil if you’d like, but no one’s going to kill you if you don’t. I mean, if someone does kill you, I’m really sorry. But you should find more even-tempered friends). Stir in the peanut butter, which, if you’ve got my luck, will suddenly be a pain to scoop out of the stupid jar. Luckily, once you’re able to get it all out, it should spread fairly easily, given the heat of the chocolate mixture. Try to use a spoon or knife to create a “swirl” effect. I tried and failed. Hence the recipe title. Great story, right? Chill the fudge in the freezer for at least four hours. Truth be told, this didn’t completely set for me as a fudge. It would, and will, make a terrific ice cream topping, but it’s not super sturdy or anything. Surprisingly, it is delicious, and the peanut butter I was stuck with really shone. I’d still sooner take another solo trip to the dirty south than mess with it again, though.